Human rights. The basic etymology of words would tell you the term together only wishes to explain a simple concept of existence with dignity and respect. It nowhere mentions the right to be rich, poor, famous or privileged. It only tells what is bare minimum to be considered a human in this world. And of course bare minimum is a lot and hence is violated, extensively. Having said that, blog action day demands us to write about it. Talk about one odd human right we believe is close to our heart. Which causes us immense pain. And today we speak about tourism and human rights. Being a traveling enthusiast, I cannot help but notice over my journeys how much of discomfort we humans cause to nature and more often to fellow humans as well. Safari. Human. Human safari. What do these two words explain to you? Put etymology to it and despite that, the worrisome details of this ‘trip’ will not be exposed. Jarawa tribes. Andaman Nicobar islands. Does this not bring to mind the gory details of that video which went viral all over the internet and finally surfaced on the news channels. Fifteen thousand rupees that’s it. That is all it took a couple of people to go on a human safari. Where they could watch scantily clad women dance, men beg for food and of course poor children also not spared in this. This particular tribe has been an endangered species for quiet sometime. And Supreme Court of India has repeatedly been demanding a closure of the highway which leads to their inhabited areas. But govt has been reluctant to follow through because there could be possible ‘connectivity’ issues. Not far from this country another case exists. In the land of Botswana. 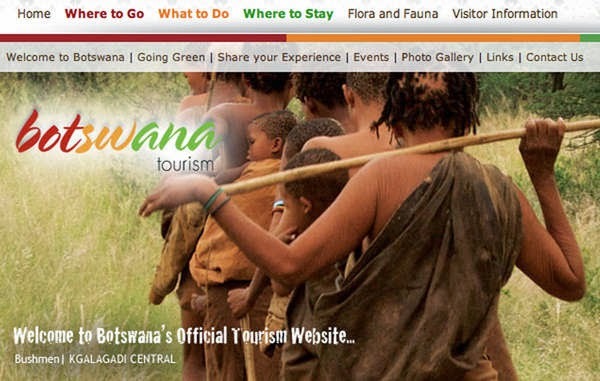 The Kalahari bushmen tribes have been prevented to enter their own region. 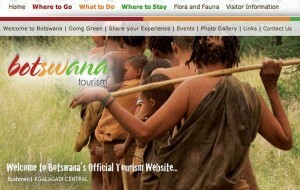 The land which is now being used by their government to promote/attract tourism. And the below advertisement will expose the hypocrisy of the relationship. I want to draw a few basic points to this debate in the light of discomfort caused to tribal people in such cases. Unlike us their immunity is not developed against many common forms of diseases. And it has been noted in the past how many tribal people died due to simple fever or pneumonia infections. Their livelihood is often an offshoot of the land they inhabit. For example, Kalahari bushmen depend entirely on hunting for food. And asking them to be away from their land makes their survival impossible. The tour companies mostly exploit them sexually or otherwise as a way to cater to the needs to the travelers. Due to the primitive forms of living and education, most of their cases go unheard. And some of the worst kinds of human rights violation take place in such areas. The above points are only the tip of the iceberg, but of course provide a larger picture. Organisations world over have been fighting for their cases. And a lot of them have succeeded in providing justice. One such organisation is Survival International. And I would suggest all of us to read their most heartwarming and positive outlook through their page Good News. Its a great reminder that no true action of charity goes unrewarded. The moment I heard human rights, I knew I had to write about this. As educated people on the go, we need to respect the people we affect in our travels. We need to know what we are being sold in the name of packages, is that affecting nature? Is that causing a paucity of some resource? Are the people in their well taken care of? Remember human rights’ innermost thought is no one man’s pleasure should come from another’s sacrifice. And a few of us are celebrating this day together, voicing our opinions for the general awareness of the issues at Write Tribe and Blog Action Day. When I visited the Andaman Islands I heard about the Jarawa tribes and in local language they are referred to as ‘adivasis’. The tourists offer them Chips packets etc and since they are not used to processed food they fall sick.This is inhuman. Wow, I guess the only species that does this to its own bretheren are humans and this post at some levels makes me ashamed to say that I am human. Humans exploiting other humans! Sad to know that even the respective governments have a hand it. Anything that seems alien to us, we treat with disrespect. If only we gave the tribals their due – they have so much to teach us about life and living! Great area to focus on, Richa! Very well written, Richa. It is sad that many tribals can’t even enter their own land and even in India, lands are grabbed to give to large corporations. What do the commoners get? It is a blatant violation of human rights. Seems like we are exploiting our fellow beings for our own comfort and happiness. Was not aware of the Jarawa Tribe. From what I read (and understand) they will be waiting for the next batch of tourists. Its really very nice blog..Thanks for sharing..